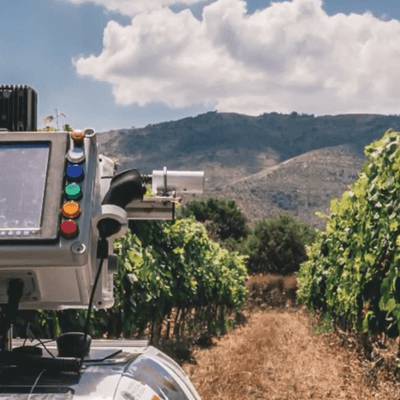 Apogee Instruments’ infrared radiometers are used for plant canopy temperature measurement, road surface temperature measurement, energy balance studies, and more. Calibrated to a custom black-body cone with a measurement uncertainty of ± 0.2 C from -30 to 65 C when the sensor (detector) temperature is within 20 C of the surface (target) being measured. 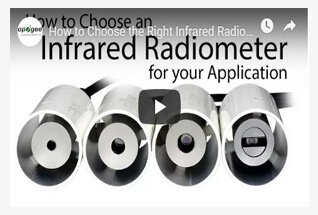 Radiometers are only sensitive from 8 to 14 µm (atmospheric window) to minimize the influence of water vapor and CO2 on the measurement. 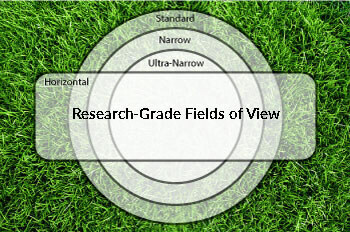 Four field of view (FOV) options, including: three circular and one horizontal aperture. Custom FOV's available upon request. 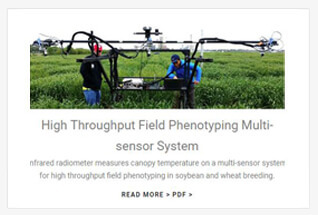 Plant canopy temperature measurement for use in plant water status estimation, phenotyping, phenomics, road surface temperature measurement for determination of icing conditions, and terrestrial surface (soil, vegetation, water, snow) temperature measurement in energy balance studies. Analog and digital output options are available. Analog versions include unamplified voltage outputs. 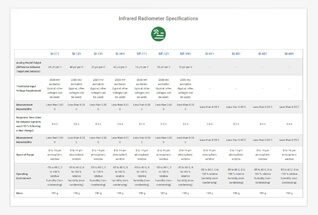 Digital versions include SDI-12 communication protocols. 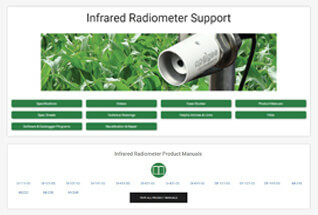 Sensor is also available attached to a hand-held meter with digital readout. The AM-220 mounting bracket is designed to orient sensors at varying angles to satisfy all applications. 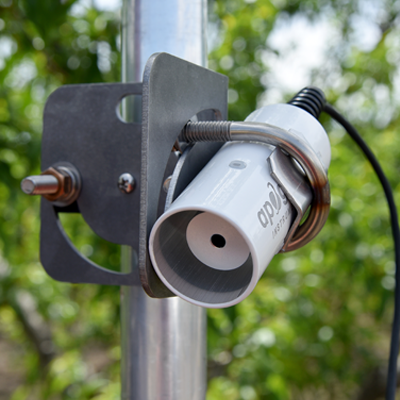 Bracket can be mounted to a mast or pipe, while accommodating the sensor. Anodized aluminum body with fully-potted electronics. The outer radiation shield reduces thermal fluctuations. 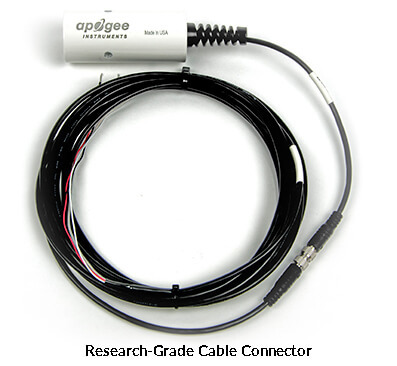 Pigtail-lead sensors feature an IP68, marine-grade stainless-steel cable connector approximately 30 cm from the head to simplify sensor removal for maintenance and recalibration. Cable is shielded, twisted-pair wire with a TPR jacket for high water resistance, UV stability, and flexibility in cold conditions. All Apogee products are backed by an industry-leading four year warranty and outstanding customer support.